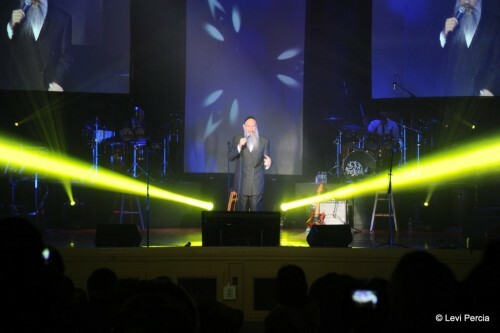 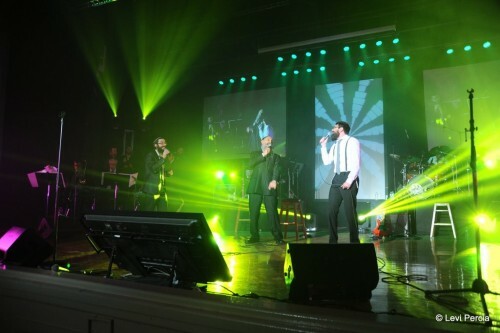 Mordechai Ben David and the singing duo Shmuly and Bentzi Marcus of8th Day rocked a packed house at the Soul to Soul Concert Sunday in Crown Heights. 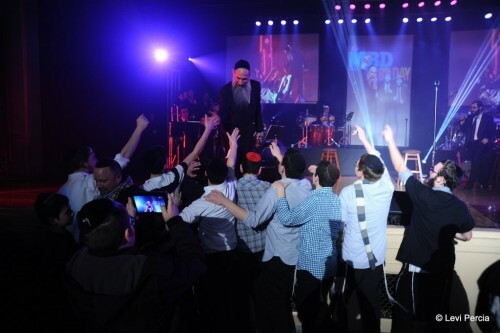 Was it the Adar spirit or the Rebbe’s blessing? 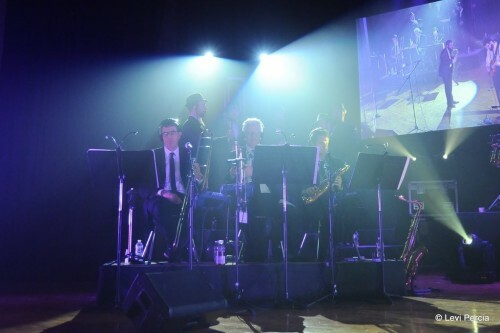 A typically hard-to-please Crown Heights crowd was quickly won over at Sunday night’s annual Soul II Soul concert held at the Brooklyn School of Music. 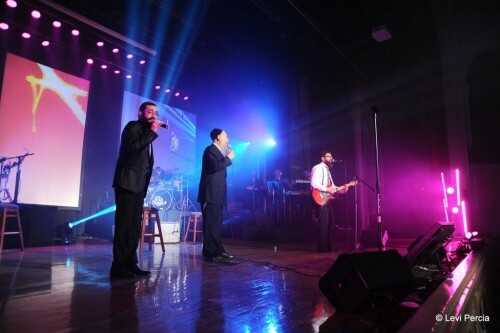 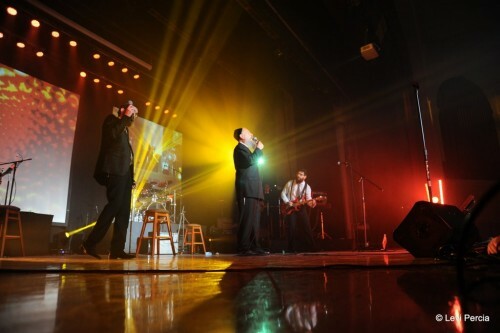 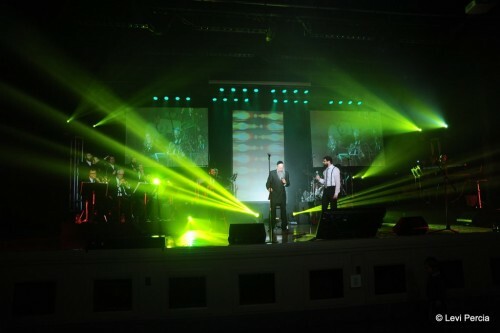 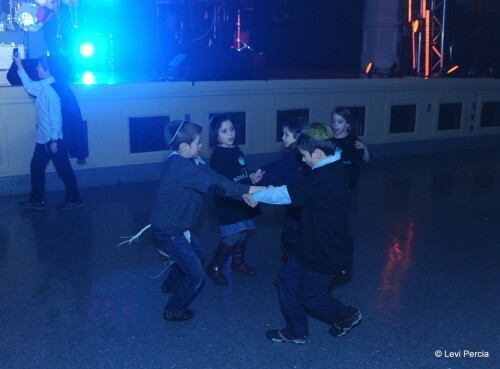 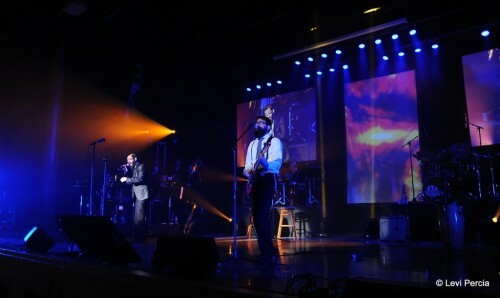 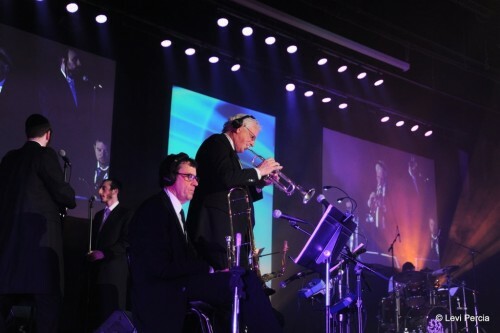 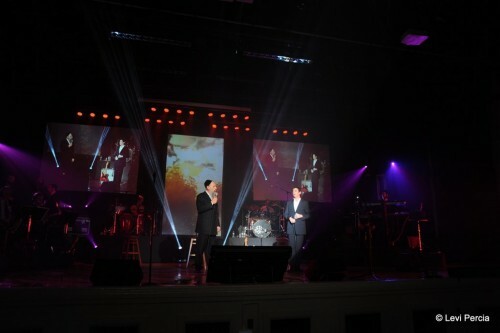 Mordechai Ben David and the singing duo Shmuly and Bentzi Marcus of 8th Day rocked a packed house, benefiting the school tuition costs of local children with special needs. 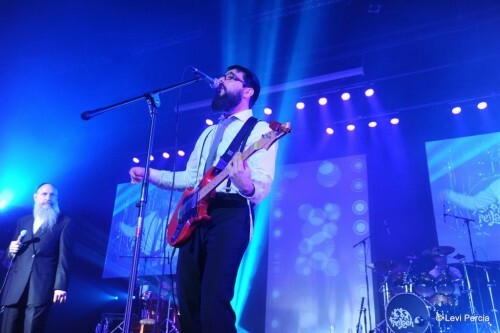 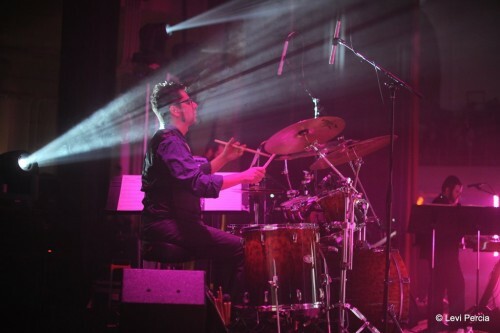 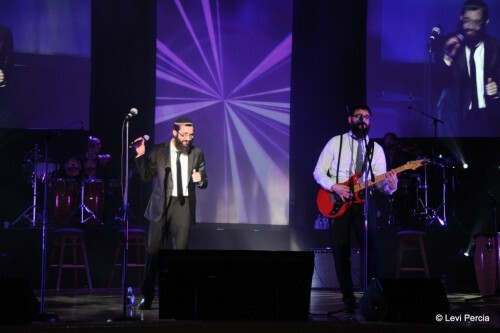 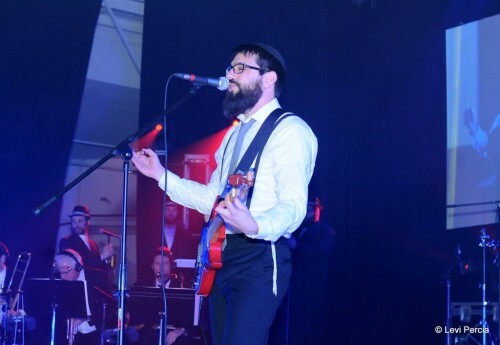 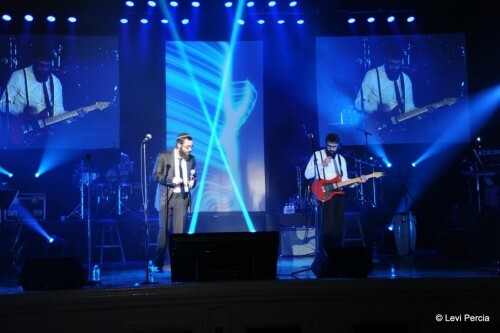 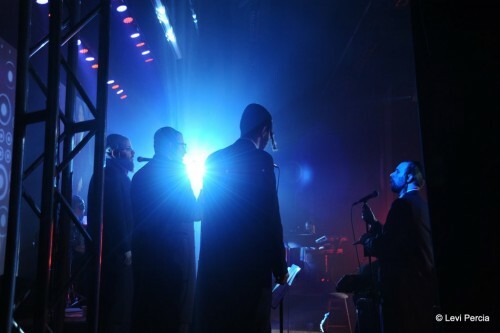 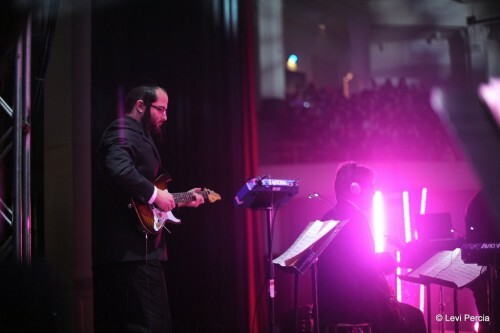 Crown Heights Lubavitchers may be known to some in the music industry as a tough crowd, but at this concert the energy in the room was electric. 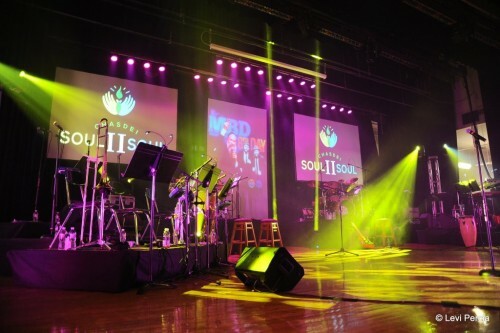 8th Day got the crowd going, switching between their lively hits ‘All you got‘, ‘Tatenyu‘ and ‘Cheery Bim‘ and moving renditions of their ‘May you be Blessed,’ to the backdrop of beautiful children with special needs and their incredible moms. 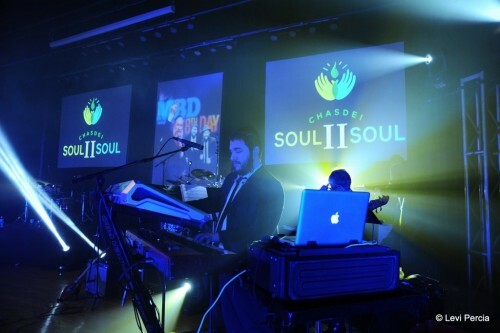 They also sang the Soul II Soul anthem, composed by Bentzi Marcus, in tribute to the Chasdei Soul II Soulorganization, directed by Shmuly and Tzirl Goldman, who also produced the show. 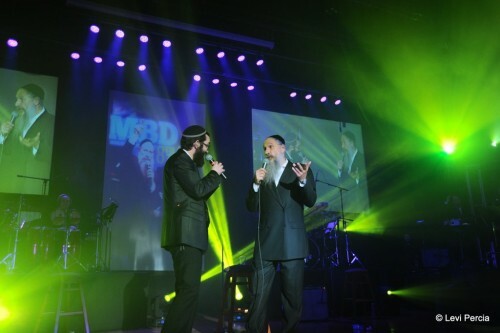 When Werdygertook the stage, chants of ‘MBD! 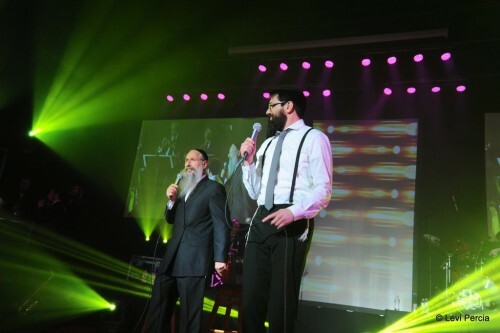 MBD!’ greeted him, as he enchanted the crowd with both his classic and new hits, receiving rousing applause with nearly every song he began. 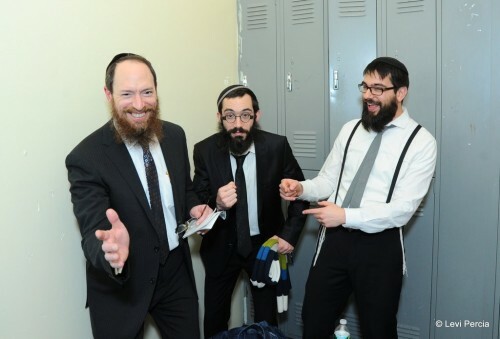 He recalled his visit to the Lubavitcher Rebbe in the year of 5748 – tismach (rejoice), saying the Rebbe told him he should take the joy of that year and it should last him not only for a year, but a lifetime. 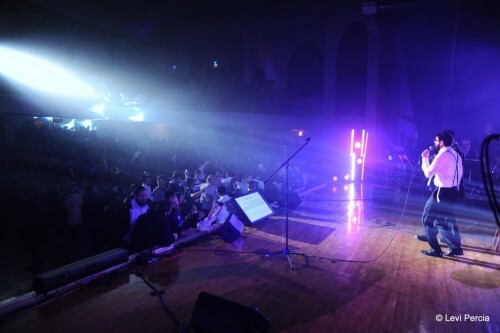 And it seemed like it worked. 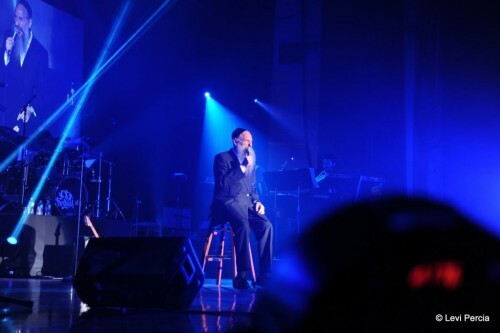 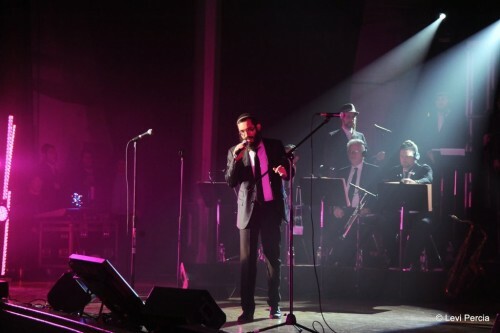 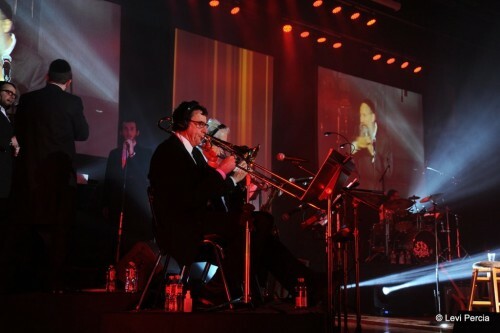 With great energy, the King of Jewish music sang his more recent hits ‘Kulam Ahuvim,’ ‘Gevald‘ and ‘Avinu Shebashamayim‘ alongside his classic hits like ‘Vehachein‘ and ‘Racheim‘, with the crowd singing along, sometimes continuing to sing even when the band finished playing. 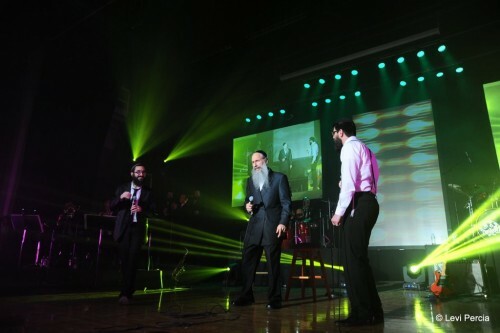 A poignant moment was when MBD spoke about his recent visit to Otisville prison to spend the day with Sholom Mordechai Rubashkin and other Jewish inmates. 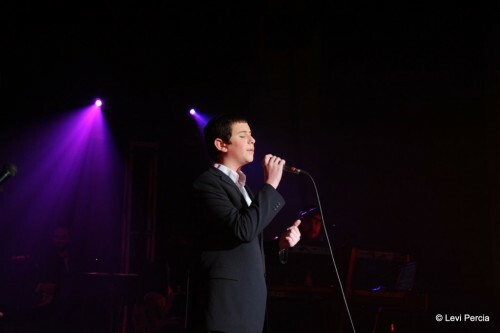 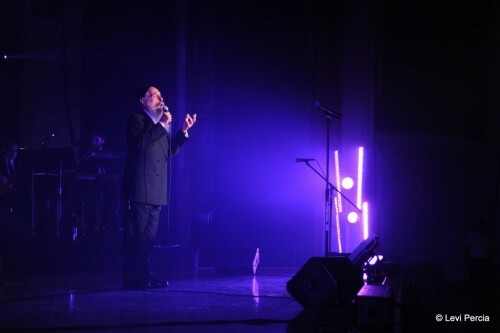 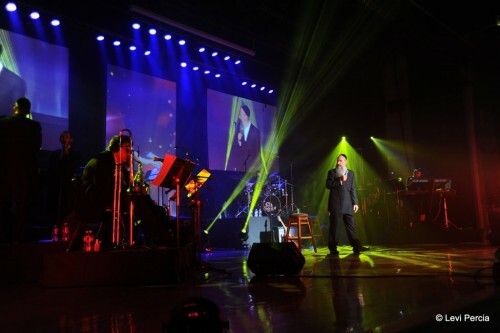 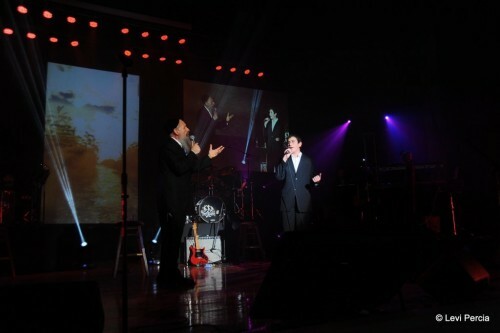 “It was a very heartwrenching and emotional experience, seeing another yid in misery,” he said, before dedicating a medley of his classic English hits like ‘Unity,’ ‘Memories‘ and ‘Someday‘ to Rubashkin and others who are currently incarcerated. 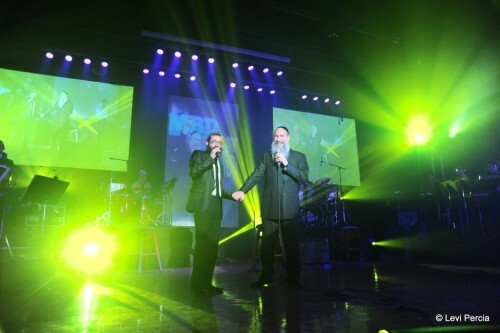 A high point of the evening was MBD singing a beautiful ‘Ani Maamin‘ duet with young talented singer and Miami Boys Choir soloist, 13 year old Mendel Goldman, son of producers Shmuly and Tzirl Goldman. 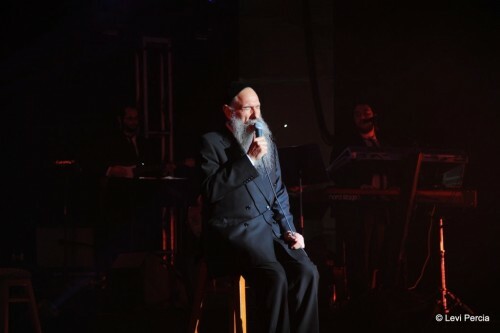 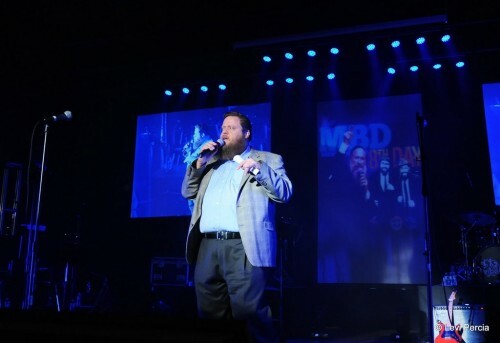 The evening also had its share of humorous moments, as the popular entertainer joked while lifting a cup of water, “I was expecting in Crown Heights to get mashke, and you give me water,” he quipped.